Here are some tips for avoiding the latest fashion pitfalls as well as the common style blunders that too many men are still making. First off, there have been some atrocities of male fashion circulating social media over the past week or so. Foremost, of course, was the Kickstarter campaign to raise funds to produce the RompHim. 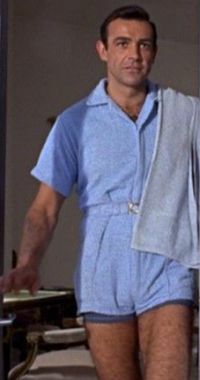 This male romper or bro romper as it has also been called is a one-piece shorts and shirt combo outfit. While, ostensibly, this article is about clothing that no man over forty should wear, I would suggest that the bro romper transcends that. No male over seven years old should wear it. It’s ridiculous. You’d never catch a heroic masculine idol like say James Bond in a romper. Next in the line of freshly concocted fashion disasters to make the rounds of social sharing this week is the oddly named Mankini. I say oddly named because the moniker is styled after the bikini – a two-piece bathing suit for women. 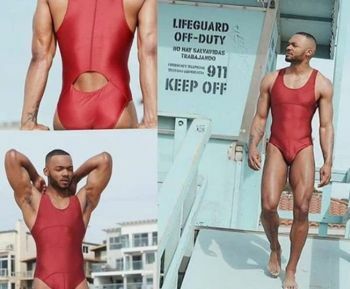 However, the mankini seems to be a one-piece swimsuit for men. Regardless, don’t get one. Note: It actually doesn’t look too bad on the man modelling it in the image being widely shared right now. But he looks like a superhero. Those of us with more average body shapes and sizes can’t pull that off. And anyway, don’t try dressing like a superhero. You’re a grownup, and they wear their underwear on the outside of their pants. Capri pants. Not quite pants, not quite shorts: capris are the brunch of legwear. They don’t look good on men. Sometimes hipsters in man buns doing yoga on the beach can get away with wearing them, but grown men shouldn’t try it. Also avoid bulky cargo shorts. They create kind of a frat boy look that doesn’t suit men over 30. Cut off jean shorts. There’s a good reason that you rarely, if ever, hear of noted Hazzard county resident Daisey Duke cited as an icon of male fashion. Flip flops. These aren’t shoes, so don’t wear them out on the town. Flip flops should be worn at the pool or on the beach only. In a bar, a café or, heaven help us, at work, nobody wants to see your feet. Speedos. Nope. Get some stylish swimming shorts for the beach or the pool. Speedos are for competitive swimmers on race or training days. They shouldn’t be worn in any other situation – especially by men over 40. Jewelry. Grown men shouldn’t wear jewelry. Keep your bling to a watch, wedding ring, and maybe some wearable tech – chosen carefully. Other than that, chunky bracelets, necklaces and medallions, multiple rings and earrings just look tacky. Oh, wait. Are you at a swingers party? Crop tops / too short T-shirts that stop at the waist. Sometimes you just outgrow your favourite T. Or you might think that you have admirable abs that the world needs to see. They don’t. You can show off your physique at the gym, the pool, or the beach. The rest of the time, you need a shirt that covers your torso. If you outgrow it, it’s time to let it go. The same goes for white t-shirts that aren’t as white as they used to be. When your Ts are off-white, yellowed with age or stained, throw them out. Backwards (or worse, sideways) baseball caps. These look dumb on everybody, but especially on men who are old enough to know better. If you’re going to wear a cap when you’re over forty, at least wear it properly. Skinny jeans/mom jeans. Jeans seem like your basic, all purpose pair of pants that can be suited to most casual events and actually be quite fashionable on occasion. However, they can also be fraught with peril stylistically. 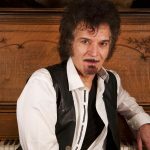 Skinny jeans will make skinny guys look like they have twigs for legs – and if you squeeze yourself into them and you’re not skinny – well, let’s just say it gets worse. Just say no. On the other end of the spectrum, shapeless mom or dad jeans are kind of the sweatpants of denim. Loose, shapeless and comfortable, they say you just don’t care anymore. Also. Don’t wear sweatpants or athletic-wear unless you’re actively engaged in athletics. Think all of this is shallow and that the clothing doesn’t matter? 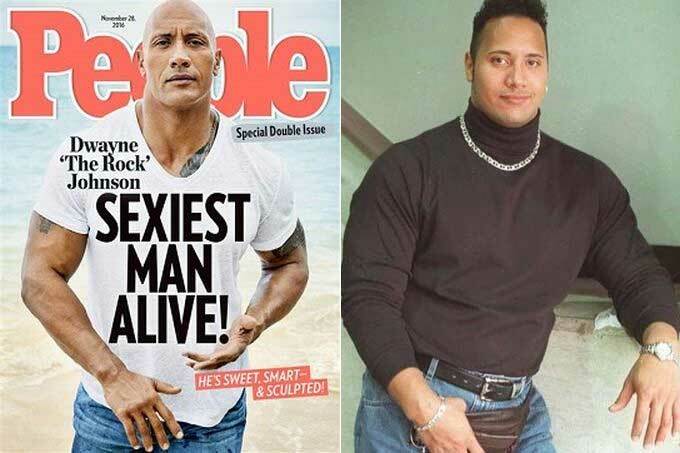 Compare these two photos of Dwayne ‘The Rock’ Johnson. In one he is People Magazine’s current ‘Sexiest Man Alive.’ In the other, he is sporting too many fashion blunders to count. A fanny-pack, really? See also: The one essential piece of clothing men should keep on hand for most occasions.